S E A R C H D A V E ' S V O L V O P A G E S B E L O W ITEM SEARCH? 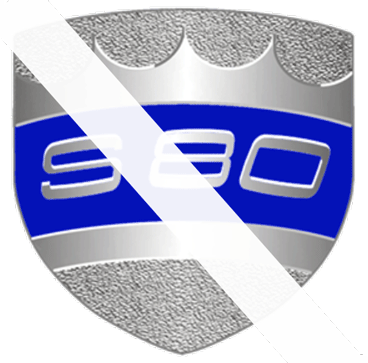 : Search this page. Then enter a Part Number or phrase in the search box. Discounts will be automatically calculated in your shopping cart. 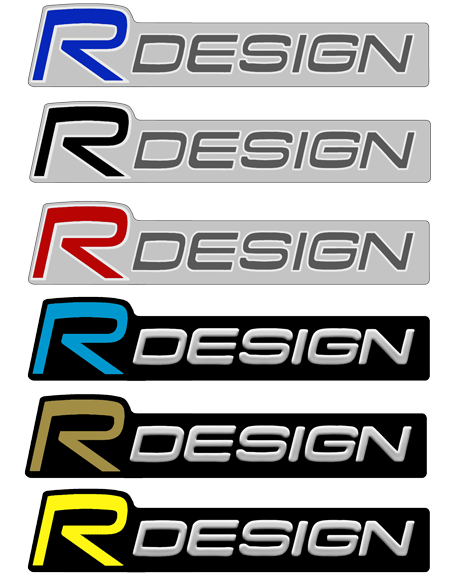 R-Design Grill Badge Inserts R-Design Stickers CROSS COUNTRY Decals JÄVLAR! "Bite off more than you can chew..."
CLEAN SURFACE: The surface should be clean of dust, grit or oils. Glass should be free of chemicals like Rain-X. Alcohol or a solvent cleaner may be used on non-painted surfaces, but should be tested in an out of sight area first. Oils from your hands can contaminate the surface and degrade the sticker adhesive. FIRM PRESSURE: The adhesive is activated with pressure. Applying the label from one side to the other will help prevent air from being trapped under it. WARM TEMPERATURES: Adhesive sticks better and cures better in warm temperatures. Very cold temperatures will cause the adhesive to have less tack and it may begin to lift. The ideal label and surface temperature is between 70-90°F (21-32°C). When storing labels, keeping them between 60-90°F (15-32°C) is recommended. GIVE THEM TIME: The pressure of applying a label begins the curing process. The adhesive will slowly become stronger over time and will usually be fully cured in about 1-2 weeks. This is an optional method that works very well, but it has a slightly steeper learning curve. It is the only method used by professionals. PREPARING THE APPLICATION FLUID: If you're tempted to grab some window cleaner, I would not unless maybe it's ammonia and alcohol free. Applying vinyl on a wet surface using proper fluid will allow you to reposition or slide the decal to the correct position. So the fluid needs to be slick. This also allows for better results by reducing air bubbles behind the vinyl. You should use clean water with a small amount of dishwashing liquid soap. The amount of soap should be a few drops in a pint of water (16 ounces). Dishwashing liquid is best, since it's there to break the surface tension of the water, which you can't count on some other soaps to do. Put this liquid in a spray bottle. APPLYING THE VINYL: Remove the decal backing and generously spray the back of the decal (adhesive side). Now generously spray the surface (glass, paint, etc.). Place the decal on the wet surface and spray a little fluid on the front of the decal so the squeegee slides easily. This helps the squeegee works and reduces the chance of scratching the decal surface. Slid the decal it into position. 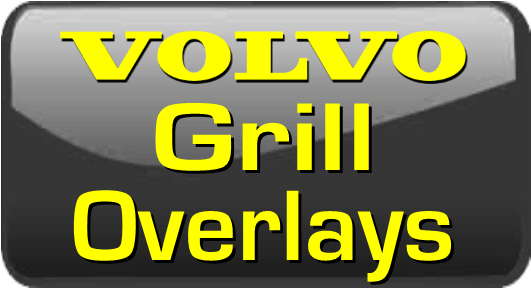 REVERSE INSIDE WINDOW DECALS: If you are applying a reverse inside window decal to glass, this will help you understand what is done. Keep in mind that some reverse decals have a "static cling" effect. This type uses no adhesive. All of the reverse decals here have an adhesive, so they are not static cling. CLEAN SURFACE: The surface should be clean of dust, grit or oils. Glass should be free of chemicals like Rain-X. Alcohol or a solvent cleaner may be used. Oils from your hands can contaminate the surface and degrade the sticker adhesive. <<< PEELING THE FRONT LINER: Carefully find the edge of the clear front liner and peel it off of the front of the decal. Some shapes can be hard to begin the separation of the liner, but it's not stuck on there very hard. 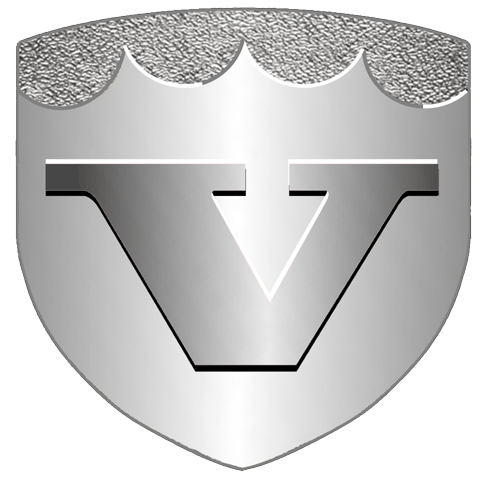 FIRM PRESSURE: The adhesive is activated with pressure. Applying the label from one side to the other will help prevent air from being trapped under it. After lining up the decal in the position you want, begin by placing one edge down firmly on the glass. To avoid air bubbles, it's best to slowing apply the decal from on side to the other or from the top to the bottom. You may use a squeegee device, such as a plastic credit card, to slowly and gently push the decal onto the glass as you go from one side to the other. 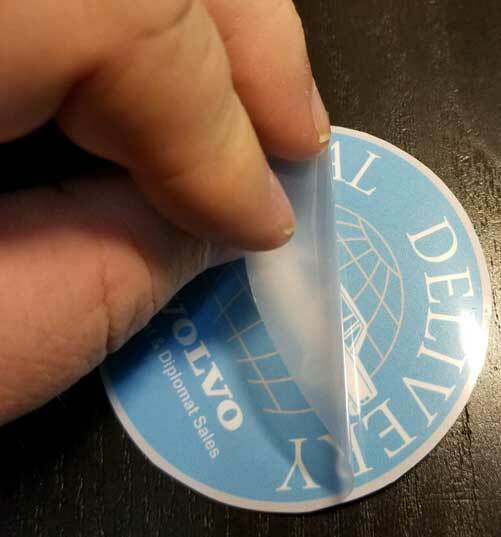 In most cases a vinyl sticker can simply be peeled off. Often using some heat from a hair drier or heat gun to soften the adhesive will make it come off much cleaner. If you have a sticker that has been on there a long time or there is very stubborn adhesive residue left behind, the below video offers the best method I know. 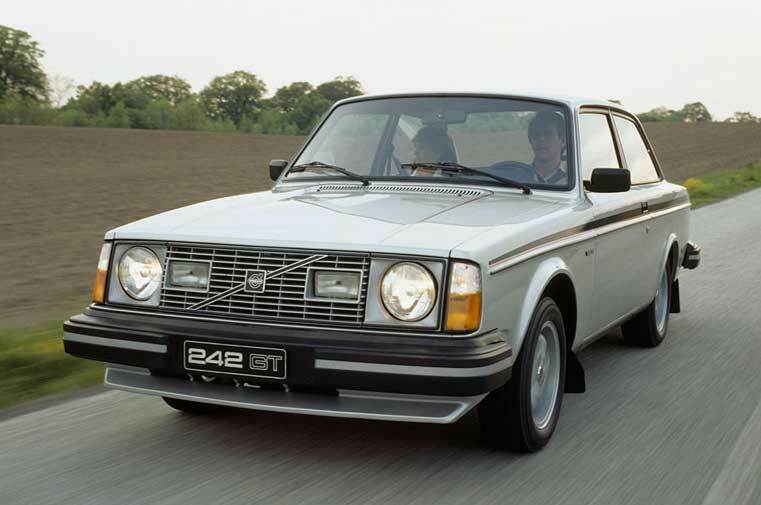 Some Volvos come with body panels made of non-steel. Magnets don't stick! 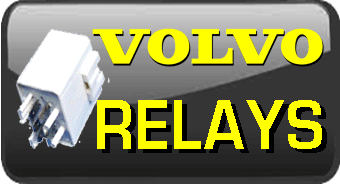 Aluminum or Fiberglass Tailgates: Many late model wagons and SUVs. Plastic skinned trunk lids (boot lids): S60 models in the 2000s. 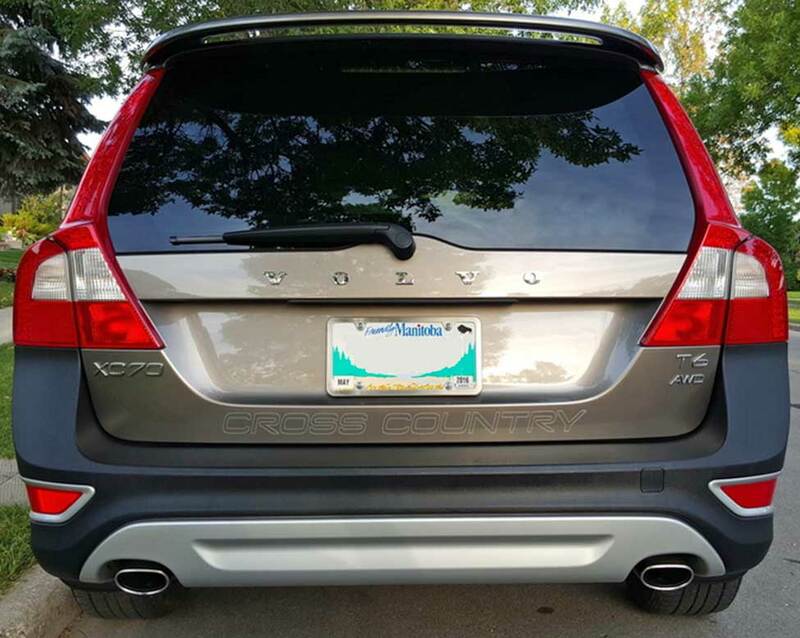 Plastic front fenders (wings): XC90 SUVs and possibly other SUVs. Some customers have complained that magnetic backing can begin to stick to their paint after a long time on the car, leaving a residue on the paint that was hard to remove. When I asked how long the magnet had been on the car and if they ever removed it when washing the car, most said it was never removed. 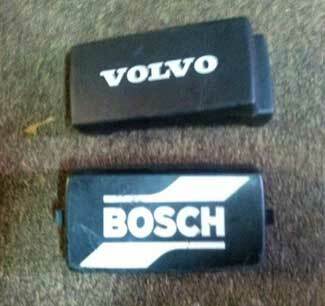 Some were on the car for years. Please Note: THIS IS NOT A GOOD IDEA! Moisture, soap, dirt, road grime (and WINTER SALT) can work its way behind the magnets over time or when it rains, during car washes, etc. While the risk to your paint is probably not large, I think there could be a potential to blemish your paint from leaving all that gunk there. At least one customer has experienced paint pitting from WINTER SALT when a magnet was left on for an extended period. I strongly advise that you REMOVE magnetic backed stickers occasionally to CLEAN BEHIND THEM or remove them temporarily WHEN WASHING YOUR CAR and replace them when done. Steering wheel emblem is about 40 mm wide (about 1.5 inches). Printed vinyl stickers with adhesive backing and high-gloss UV laminated. Printing true metallic colors, such as chrome, silver or gold, is not possible for these overlays, although they can be simulated, like in some of these photos showing a simulated chrome look. 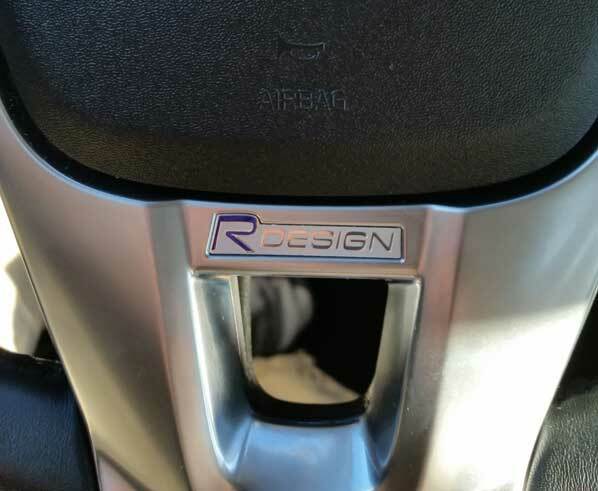 R Design Steering Wheel Badge Insert Decals. Choose your color preference below. 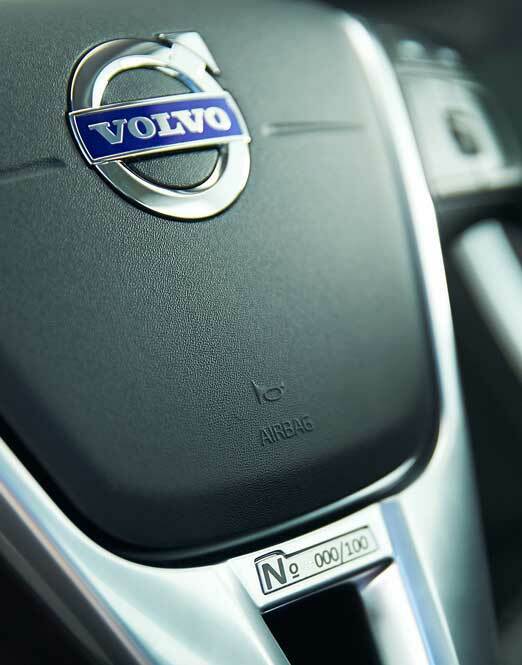 Volvo produced some limited edition Polestar cars and added a numbered insert that fit into the 40 mm wide R Design steering wheel emblem location. If you have this steering wheel you can have a numbered insert too with any number of your choice. Numbers may be changed to any number combination or even the -001/001 (ONE of ONE) as shown below. Matte non-glare finish as original. CUSTOM Numbered Insert overlay for R Design Steering Wheel. $5.00 each. 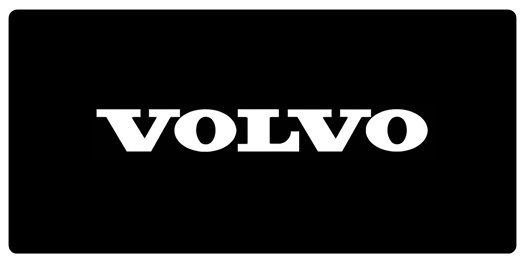 <<< Polestar decal inserts made to fit your R-Design steering wheel (same 40 mm wide emblem as above). All are printed vinyl stickers with adhesive backing and high-gloss UV laminated. 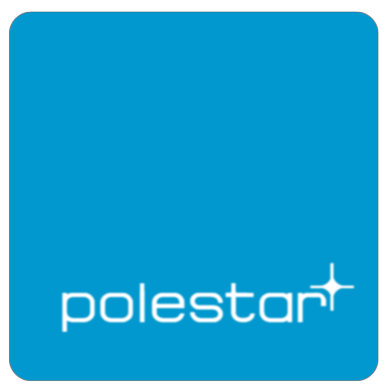 POLESTAR Steering Wheel Badge Insert Decals. In case you want a printed flat full emblem style sticker (these are NOT inserts), I'm now making these available in a few sizes. 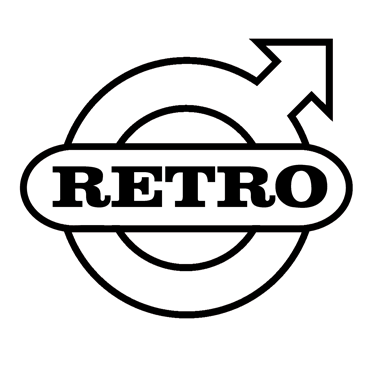 The 'R' is available in BLUE or RED or BLACK color. These are printed vinyl with adhesive back and high-gloss UV lamination. Also available with magnetic backing or as a Reverse Inside Window Decal. 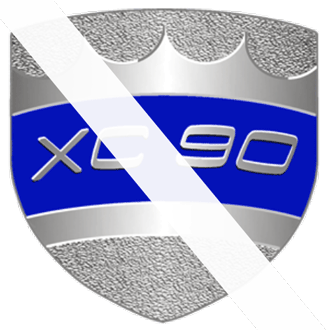 Printing true metallic colors, such as chrome, silver or gold, is not possible for these overlays, although they can be simulated, like in this photo below showing a simulated chrome look. Die Cut Decal mounted on professional transfer material. COLORS: Black, White, Silver, Dark Charcoal Gray. Colors Available: Black, White, Silver, Dark Charcoal Gray. Die Cut Vinyl Decal mounted on professional transfer material. 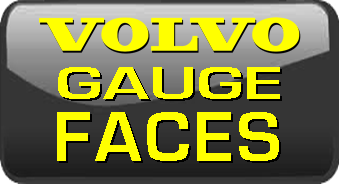 As your Volvo ages, the above expression tends to become more common. Place one on your back window to share your love with the world! 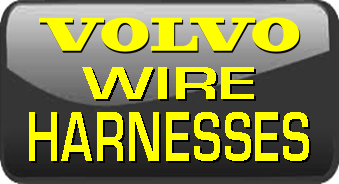 Available as a high-gloss printed vinyl sticker, optional with magnetic backing, or as a reverse inside window decal. Order Here: JÄVLAR! black with white text. 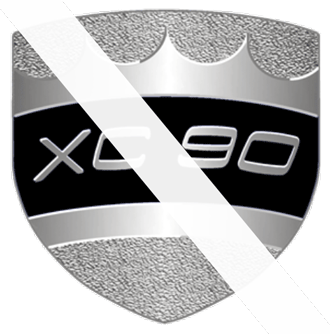 If your S80 or XC90 badge has lost its original decal overlay like this one has, I have developed some solutions for new overlays below. 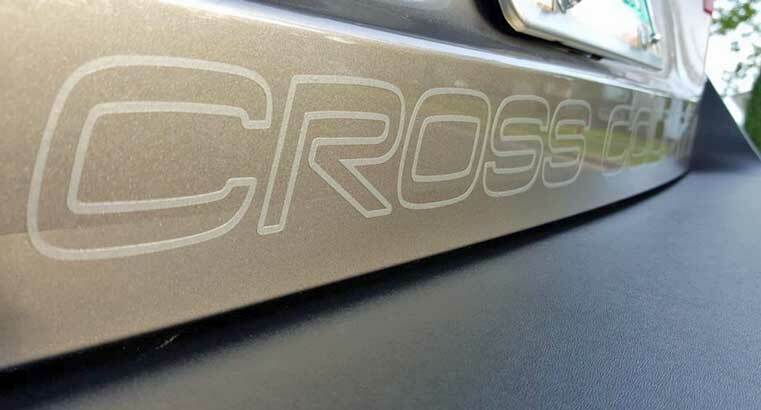 Overlays for XC90 side badges measuring 42 x 42 mm. Printing true metallic colors, such as chrome, silver or gold, is not possible for these overlays, although they can sometimes be simulated, like in some of these photos below showing a simulated chrome look. 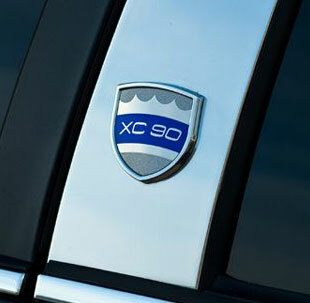 If anything needs a MOOSE, it's the XC 90! This is a custom printed vinyl overlay that will approximately replicate the original colors that were lost. This is a custom printed vinyl overlay that will approximately replicate the original colors. 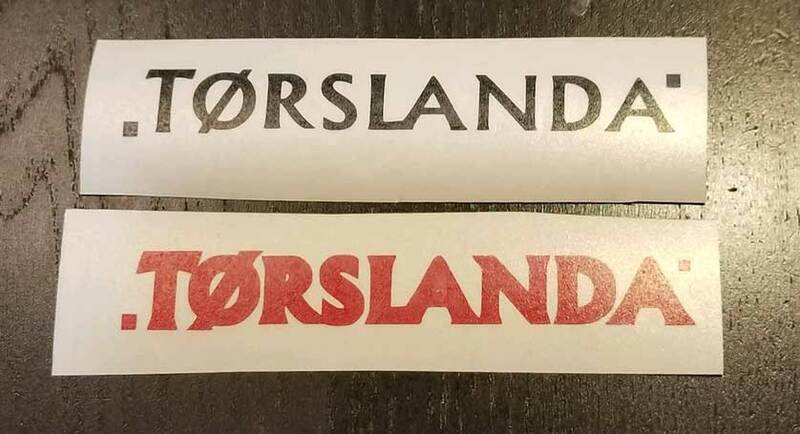 Die Cut Vinyl TORSLANDA decal mounted on professional transfer material. 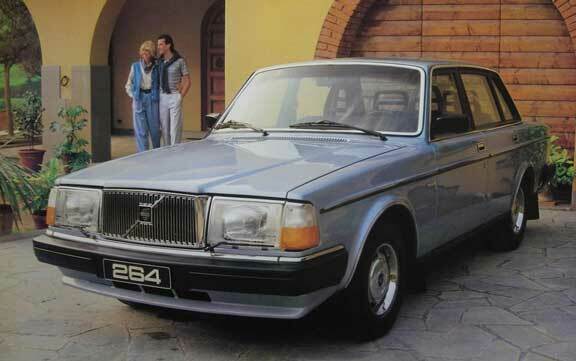 <<< The 245 Torslanda was a specially badged 240 wagon produced late in the 245 production run (circa 1992-93). 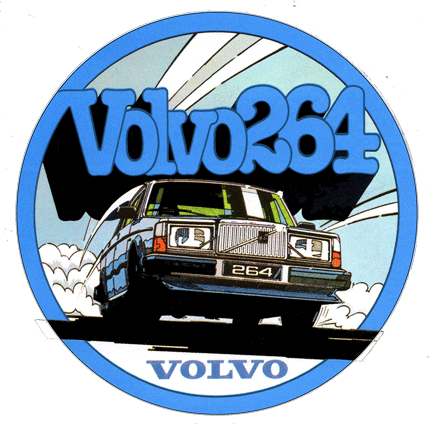 It came with special TORSLANDA decals on the fenders (wings) and rear hatch in place of the VOLVO and model designation. It also came with special vinyl side striping. 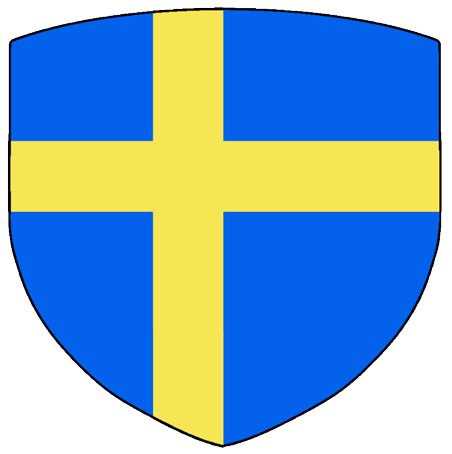 The TORSLANDA decals have been recreated below. <<< Each decal set comes with one red and one black decal. These need to be installed separately, beginning with the red decal. It's important to clean the surface that these will be installed on well. 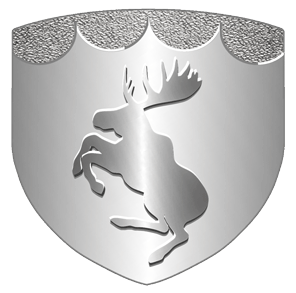 There are a few different techniques that can be used when installing to reduce the chances of air getting trapped under the decal. For more detailed information, see the links below. <<< First install the red decal and carefully remove the top clear mask. Be sure to also transfer the two red squares ahead and behind the text. If you're not careful, those may be pulled off when removing the clear top mask. Those two squares are needed to help you align the two decal colors. <<< Carefully align and place the black decal over the red decal. Use the small squares to help align them, but also pay close attention to how centered the black color is on top of the red base decal. <<< The last step is to carfully remove the top clear mask. Then remove the small squares. Die Cut Vinyl TORSLANDA outline decal mounted on professional transfer material. 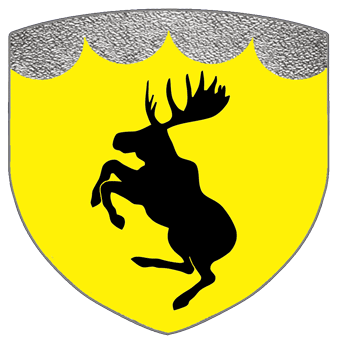 Typically mounted on a window. 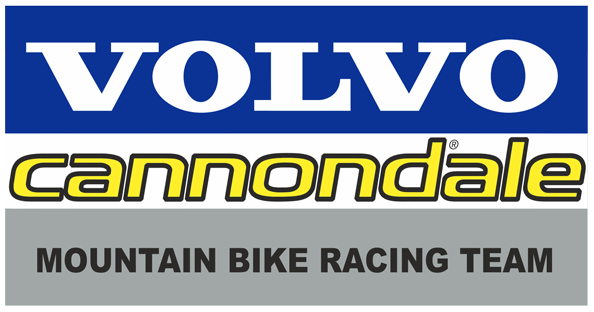 This is a reproduction of the Volvo Cannondale Mountain Bike Racing Team sticker shown. Printed vinyl with adhesive back. 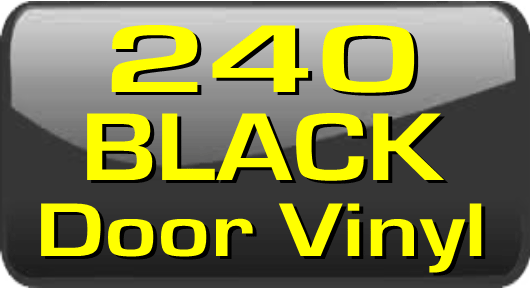 Available with magnetic back or as a Reverse Inside Window Decal. This began as a special request, so I decided to offer some here. This is a self-adhesive sticker with a matte black finish. 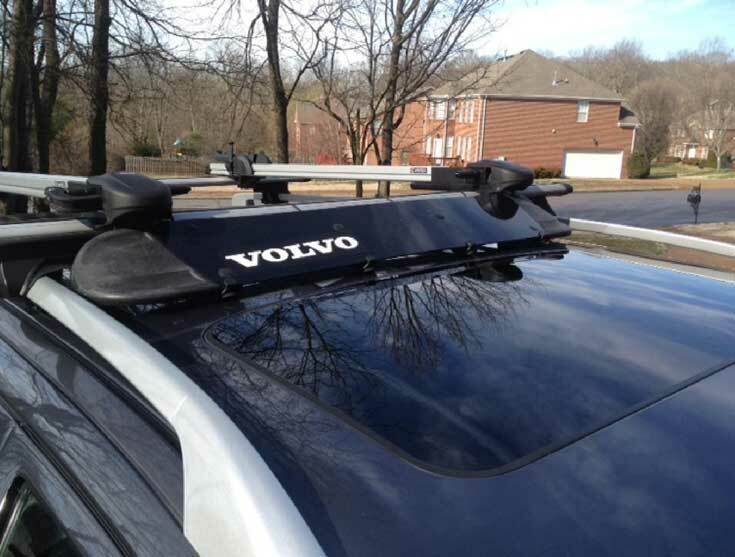 It will change the "THULE" to "VOLVO" or "VOLVO Racing" or "VOLVO THULE." It measures 8.75 x 2.25 inches (222 x 57 mm). 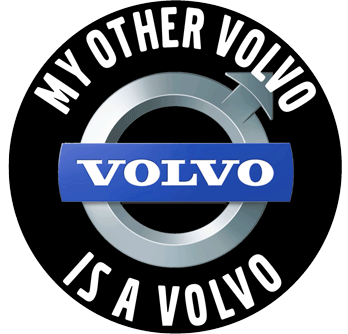 found on some Volvos in advertising shots like this one. 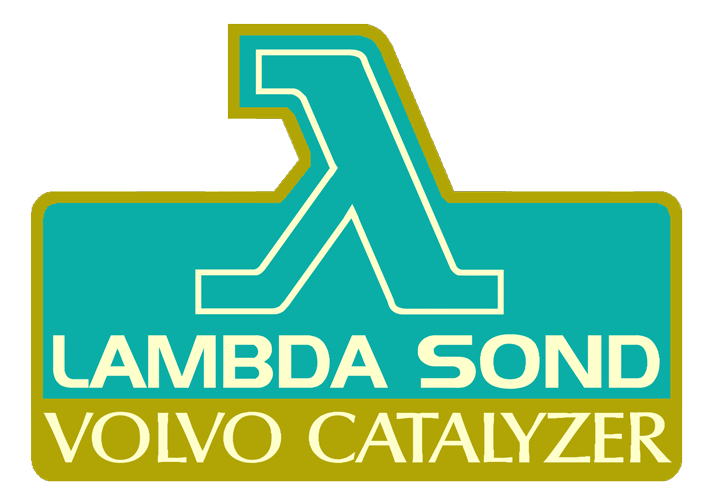 Here is a special custom self-adhesive vinyl sticker I have begun making for the front bumper on a 240. It fills the flat open space and covers the unsightly license plate holes. 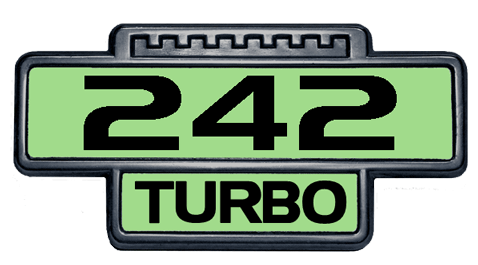 <<< 242 TURBO long with white text. LONG: 20 x 3.5 inches (about 508 x 89 mm) will fit a later 240, 1983+ in USA (with about 21 x 4 inches of flat space). 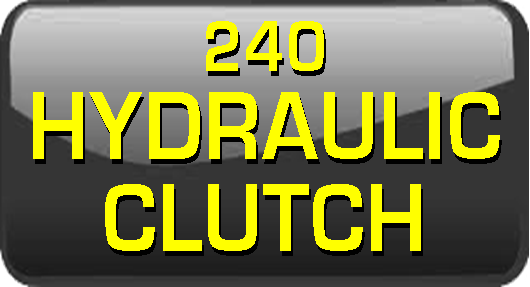 SHORT: 12 x 3.5 inches (about 305 x 89 mm) will fit the early USA 240, before 1983, with larger bumpers. 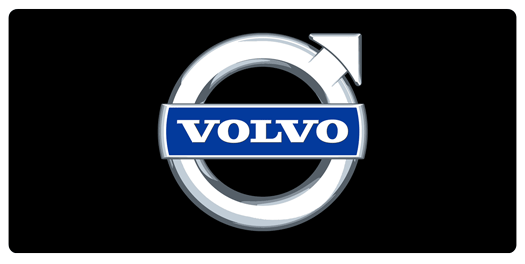 SOME EXAMPLES BELOW (any text can be done, except for a Volvo logo): The below examples are some that have been made for customers. Some were done with WHITE text and some with GRAY text. 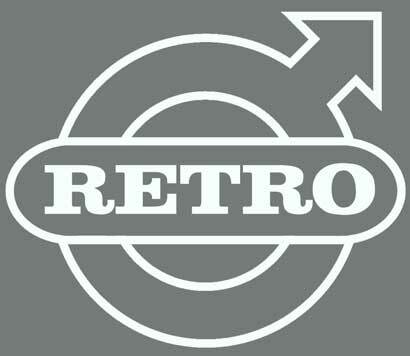 Some with DARK gray text. You may choose any. 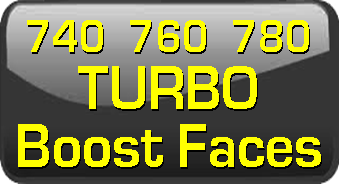 The dark gray '240 Turbo' (number 6 below) and 'TURBO' (number 7 below) is made so the text is dark and very subtle on the black bumper. 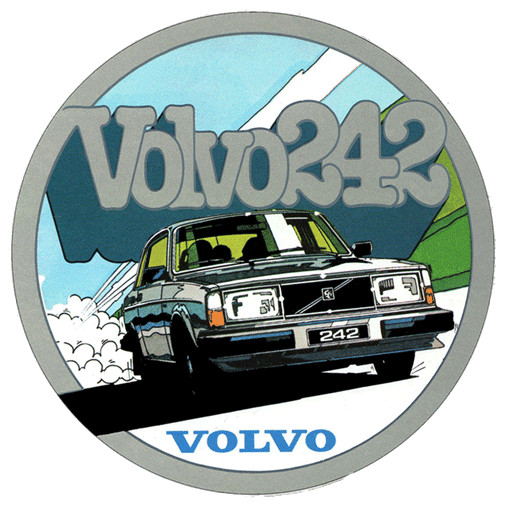 One of the '240 CLASSIC' labels (number 13 below) is made to look like it has a carbon fiber (CF) background. Labels are printed on self-adhesive backed vinyl and covered with matte non-glare UV finish. Installation Caution: It is important to clean the surface well before applying any sticker to a plastic bumper. 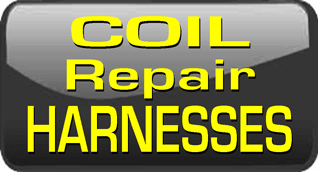 I recommend using an appropriate degreaser that will remove any oils or vinyl dressing residue before installing. 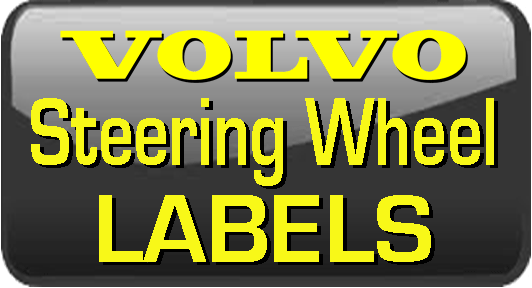 CUSTOM Front Bumper Label, Matte Finish, any non-"Volvo" text or colors. These are adhesive backed labels made to put on your old fog light covers to renew them. They are made with a satin/matte finish. SIZE: 6.75 x 3.25 inches (171 x 82 mm). 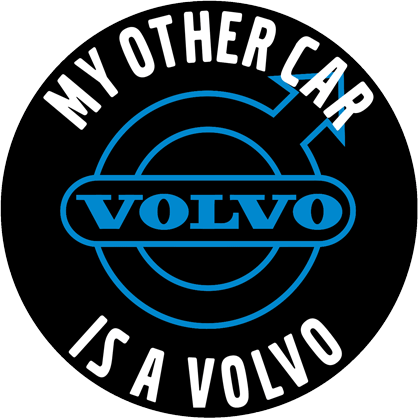 Reproduction of the original "I Love My Volvo" stickers Volvo made many years ago. 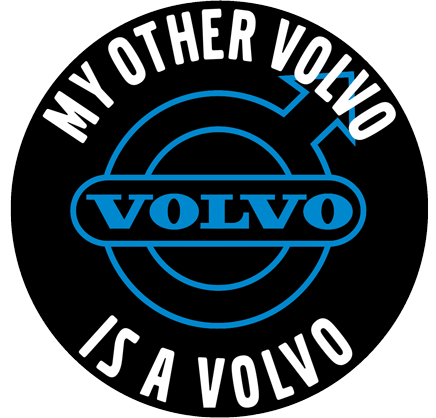 Special Die Cut "I Love My Volvo" decal. Provided as two pieces because this is two colors; Red heart and White text. No background. Mounted on professional transfer material. Adhesive on back. Perfect for mounting on glass. 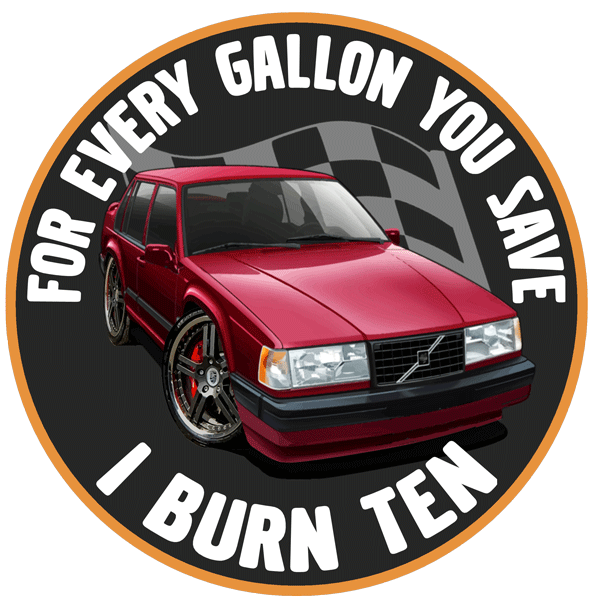 SPECIAL CUSTOM: Love Your Volvo, But Drive It Like You Hate It. 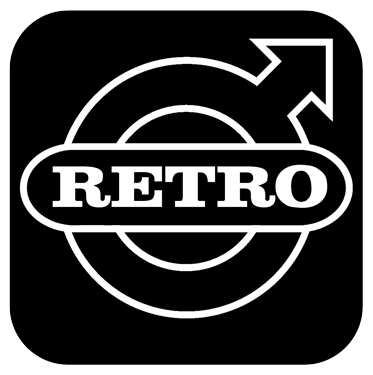 Created in the same style as the above sticker. Custom "VOLVO. FOR LIFE" stickers. 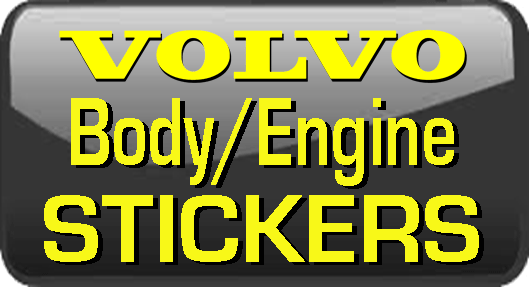 Available as a high-gloss printed sticker, optional with magnetic backing, or as a reverse inside window decal. Extremely high quality outdoor UV resistant vinyl. Die cut and mounted on professional transfer material. 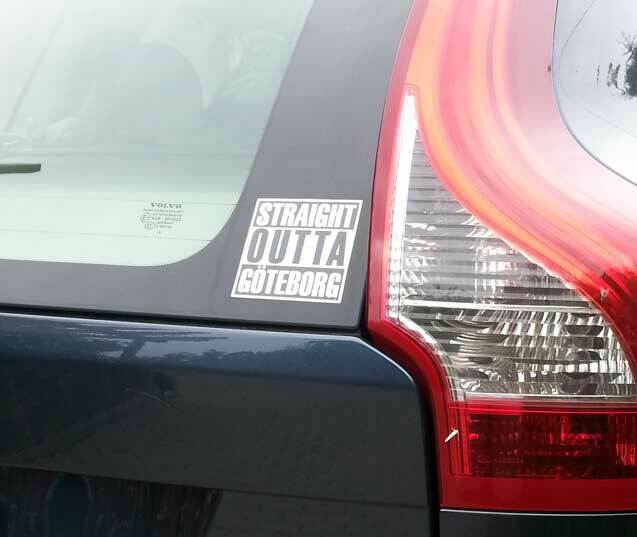 <<< Straight Outta Goteborg on XC 60.
or as a reverse inside window decal. SIZE: 2.5 inches (63 mm): $3.60 ea. SIZE: 3.5 inches (89 mm): $4.40 ea. These stickers were available many years ago. A customer provided them so they could be created again. 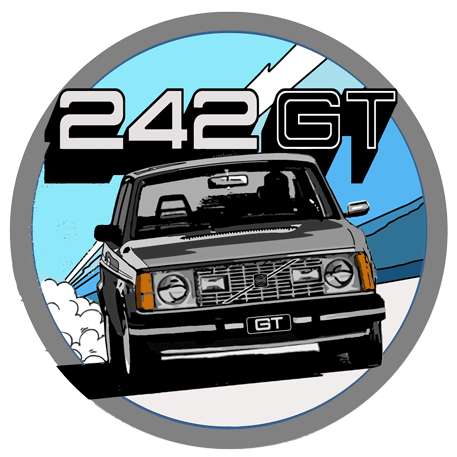 Here are some stickers I created in the same style for 240 Turbos and the 242 GT. 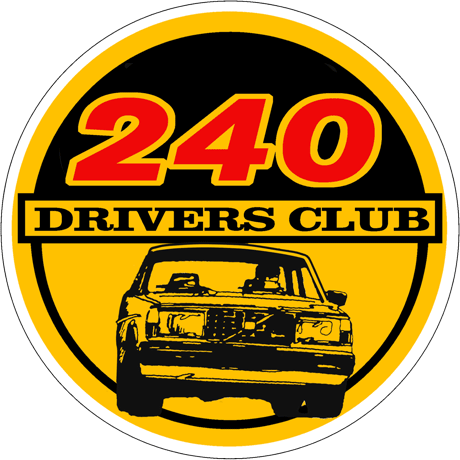 240 Drivers Club Novo round sticker, gloss finish. Available with WHITE background or BLACK background. 2 inches x 2 inches: $2.40 ea. 3 inches x 3 inches: $4.00 ea. SIZE: 3 inches wide x 2.5 inches tall: $4.00 ea. 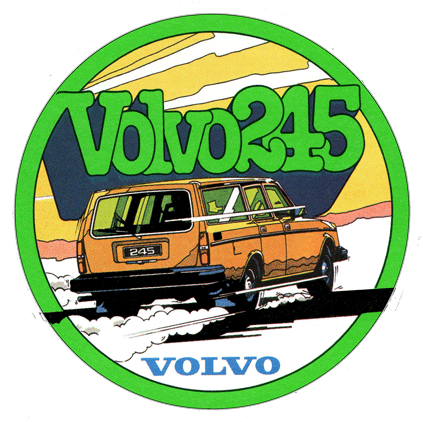 This is an accurately made custom label made in the style of the Ultra-RARE Raised Poly Dome Emblem Volvo offered in the 1970s with R-Sport Tuning Kits. <<< The original can be seen on the back of this 142. Size: 90 x 51 mm (abour 3.5 x 2 inches). Available with adhesive back or Magnetic backing may be added. 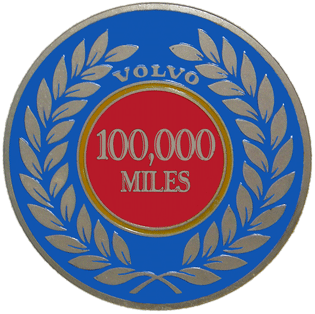 This is a printed self-adhesive vinyl sticker of the same Volvo badge. Available with a white or black background. 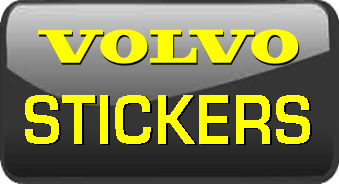 Magnetic backing may be added or it can be printed as a reverse cling (inside window) decal. 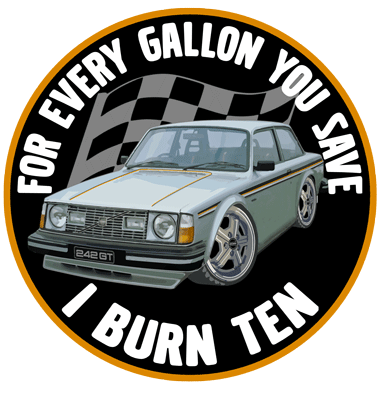 This is a reproduction of a vintage Volvo sticker offered in the 1980's with their 240 R-Sport Turbo Kits. Available with magnetic backing or printed as a reverse cling (inside window) sticker. 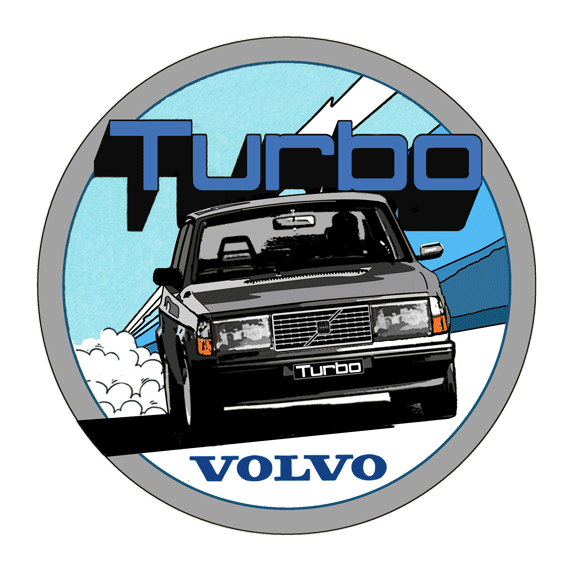 Reproduction of a vintage Volvo Turbo Plus sticker offered with Turbo+ kits in the 1980s. 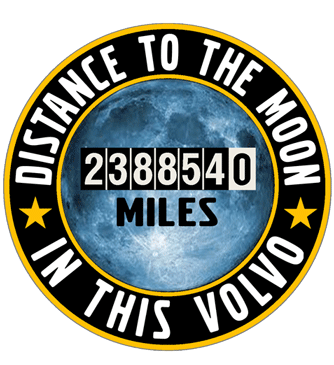 Available as an adhesive backed sticker, with magnetic backing or printed as a reverse cling (inside window) sticker. 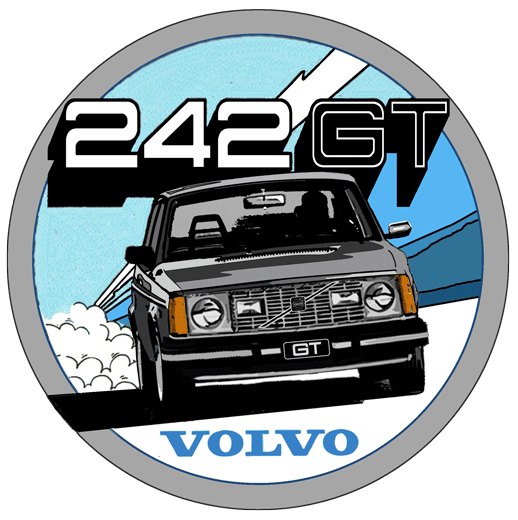 The VOLVO GT KIT sticker was an old Volvo competition division sticker rarely seen anywhere since. These are custom recreations in a few sizes. 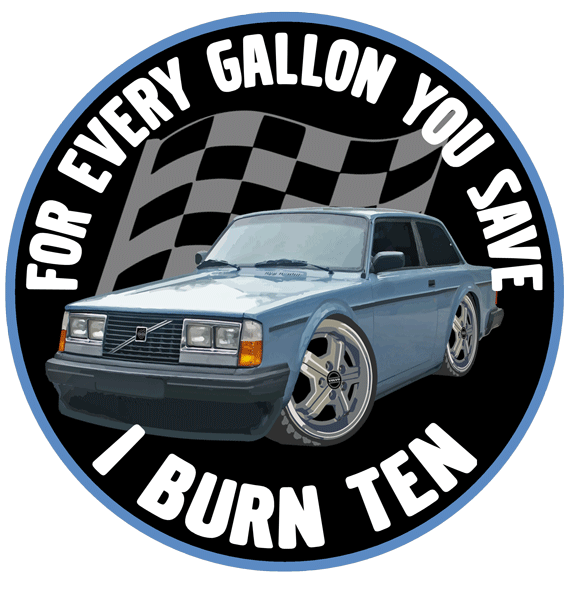 There are also a couple slightly different versions I created, including the VOLVO TURBO below. These are available as vinyl stickers with adhesive back, or with magnetic backing, or as reverse inside window decals. VOLVO GT KIT. Size: 4 x .75 inches (102 x 19 mm): $3.00 ea. VOLVO GT KIT. Size: 5 x 1 inches (127 x 25 mm): $4.00 ea. VOLVO GT KIT. Size: 6 x 1.2 inches (152 x 30 mm): $5.00 ea. 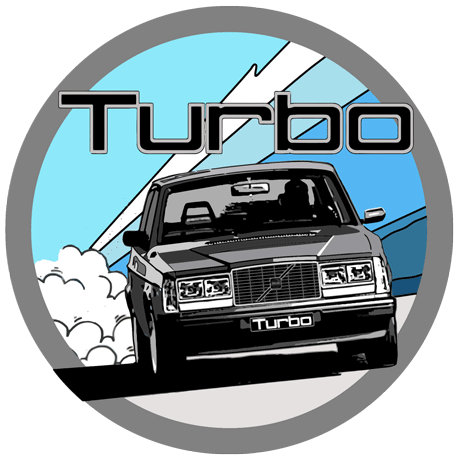 VOLVO TURBO. Size: 4 x .75 inches (102 x 19 mm): $3.00 ea. 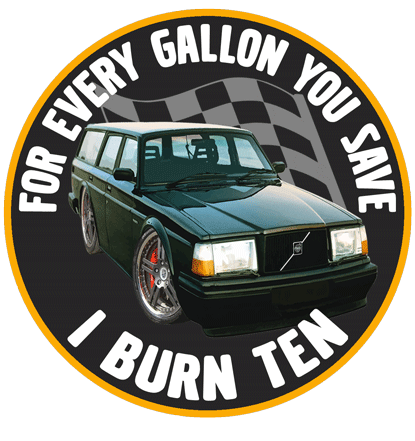 VOLVO TURBO. Size: 5 x 1 inches (127 x 25 mm): $4.00 ea. 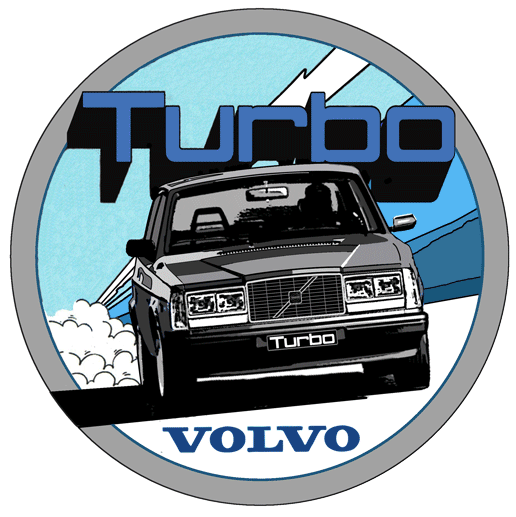 VOLVO TURBO. Size: 6 x 1.2 inches (152 x 30 mm): $5.00 ea. 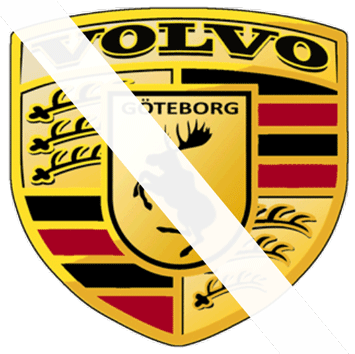 These "Crown" stickers are designed with the traditional Volvo Swedish Crown in mind. 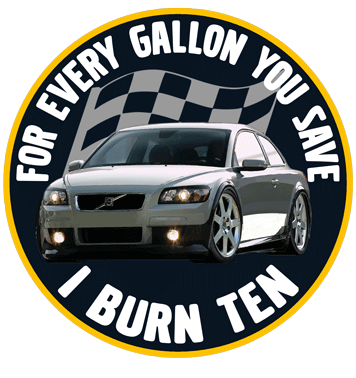 These are available as a vinyl self-adhesive sticker or Reverse Inside Window Decal. A magnetic backing option is also available. 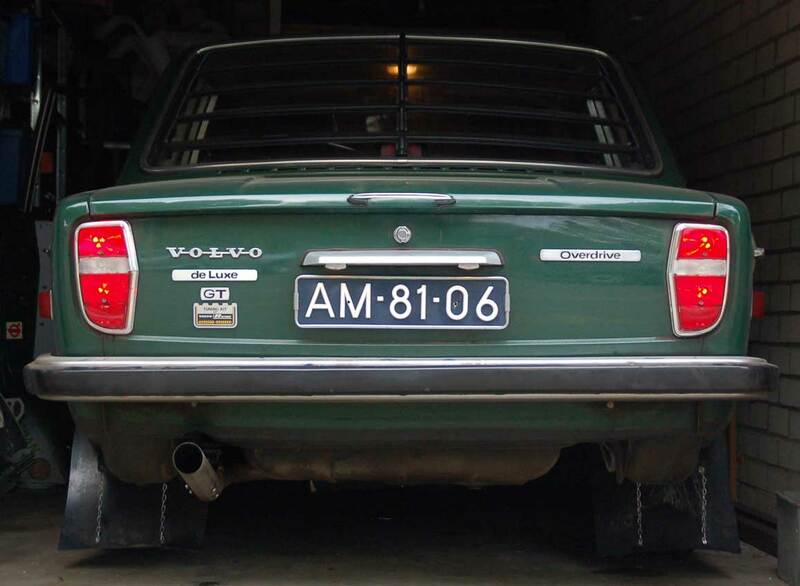 CROWN VOLVO TURBO- 2 x 1.2 inches (51 x 30 mm): $2.00 ea. 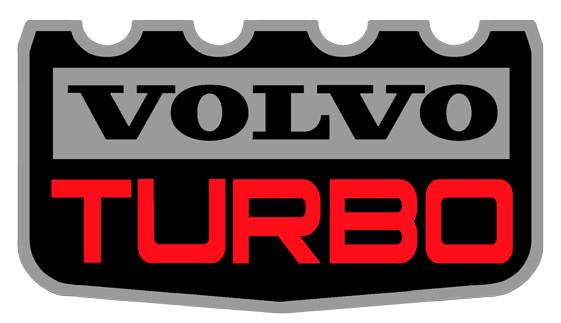 CROWN VOLVO TURBO- 3 x 1.7 inches (76 x 43 mm): $3.60 ea. 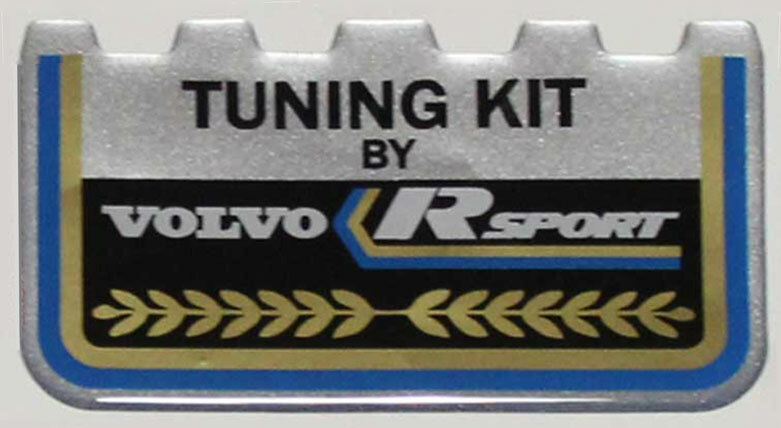 CROWN VOLVO TURBO- 4 x 2.2 inches (102 x 56 mm): $5.00 ea. These were patterned after the old school 240 fender badges that came on cars from 1975 to 1979. 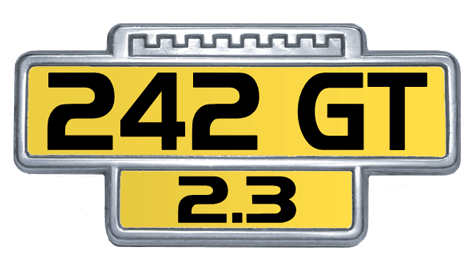 These are printed as replica self-adhesive stickers of the complete fender badge. The sticker is laminated and durable just like the moose stickers. The original badge size for all these is 3.75 inches wide. These will come in the same size. This is also available with optional magnetic backing or may be made as a reverse inside window decal. Please keep in mind that if you have an exact color that needs to be matched, if may not be perfect. 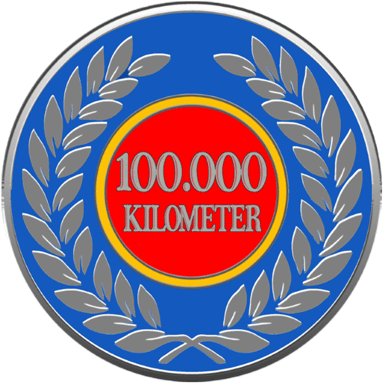 And printing true metallic colors, such as silver or gold, is not possible, although it can be simulated as shown. If you would like a close match to specific colors, here's a suggestion. Go to the PMS Color Chart at http://www.cal-print.com/InkColorChart.htm and choose a color using the color number. These can be made custom with your choice of text and colors. High-Gloss or Matte Finish. 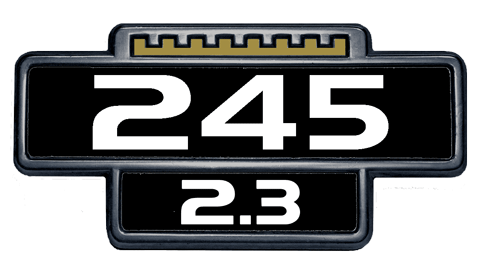 <<< 240 Badge Frame Style 1: The simulated 3D silver style frame. 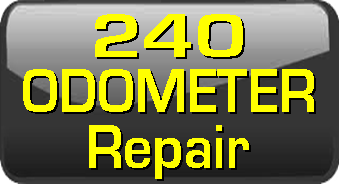 These can also be made for other models besides 240s. Color and text changes are possible. Please enter those in the text box when ordering. <<< Here are some more variations that you may like. This simulated 3D black frame is similar to style 1, except of course it's dark. Also if you have a preference for Matte or High Gloss finish, please note that. Custom text and colors available. 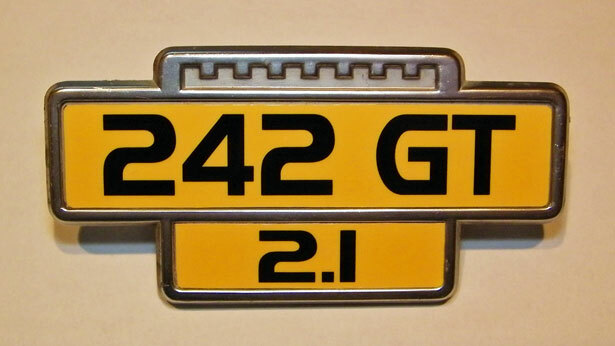 If you have original metal fender badges like this, but the printing is faded, I can make new sticker inserts. Or you can customize your inserts. 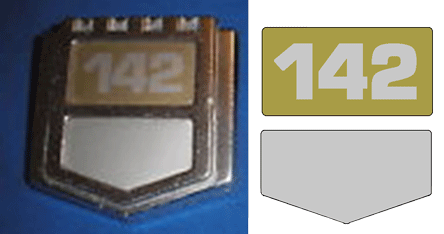 These inserts may be overlayed in the frame of your original badges. Removing the old sticker insert is not necessary. Your choice of text and colors may be added. High-Gloss or Matte Finish. When ordering, please indicate Text and Background Colors for top piece and bottom piece. Also if you have a preference for Matte or Gloss finish, note that. Early 240 Fender Badge Inserts, 1 set is for 1 badge (2 pieces): $3.60 ea. Custom text or colors available. If ordering for 2 badges, your quantity should be 2. AVAILABLE CUSTOM, ANY TEXT. Adhesive backed. If you have original metal fender badges like these, but the printing is faded, I can make new printed sticker inserts. Or you can customize your inserts. These inserts may be overlayed into the frame of your original badges. The insert size is 197 x 17.5 mm. Removing the old sticker insert is not necessary. Your choice of text and colors may be added. High-Gloss or Matte Finish. Please keep in mind that matching exact colors perfectly or printing true metallic colors, such as silver or gold, is difficult. So coming close will need to be acceptable in many instances. 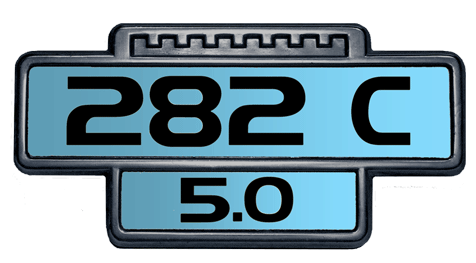 For a color you are trying to match closely, you may pick PMS color numbers from the color chart here: http://www.cal-print.com/InkColorChart.htm. 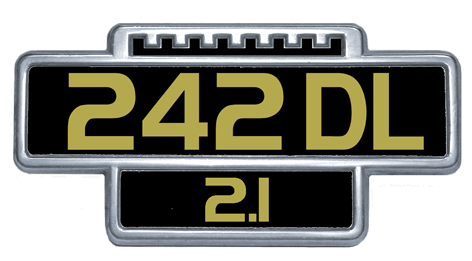 Early Crest Badge INSERTS for 142/144/164, 36 mm. CUSTOM AVAILABLE WITH ANY TEXT. If you have original metal fender badges like this, but the printing is faded, I can make new printed adhesive backed sticker inserts. You can customize your inserts. These inserts may be overlayed into the frame of your original badges. This insert size is 36 mm wide. Removing the old sticker insert is not necessary. Your choice of text and colors may be added. High-Gloss Finish or Matte Finish. Please keep in mind that matching an exact color perfectly or printing true metallic colors, such as silver or gold, is difficult. So coming close will need to be acceptable in many instances. For a color you are trying to match closely, you may pick PMS color numbers from a color chart here: http://www.cal-print.com/InkColorChart.htm. When ordering, please indicate Text and Background Colors for the top piece and bottom piece. Feel free to email or send photos if needed. 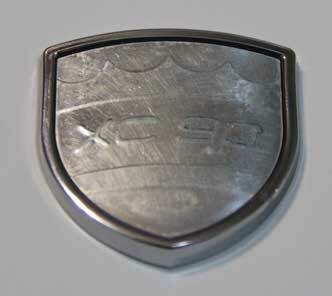 Early Crest Badge Inserts (above). 36 mm wide, 1 set is for 4 pieces (for 2 badges. 2 pieces per badge, top and bottom): $6.00 each set. 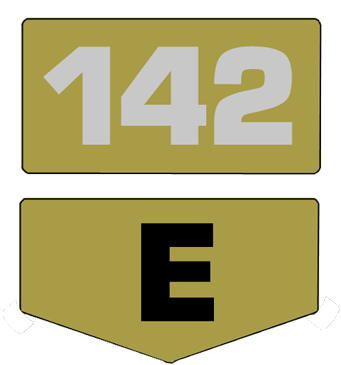 If ordering for 2 badges (4 pieces), your quantity should be 1. 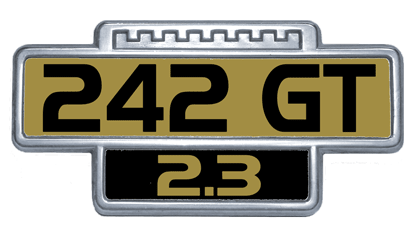 Early Square Front Badge INSERT, 54 x 23 mm. 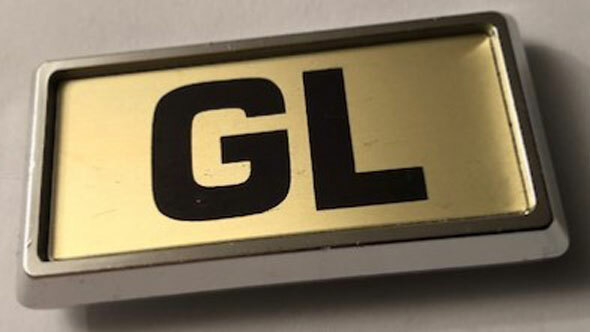 Early Square Front Badge Insert. 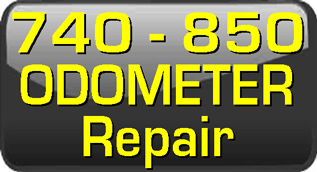 54 x 23 mm insert: $3.00 each. Here is a Printed Flat Vinyl Sticker made from the image to the left. 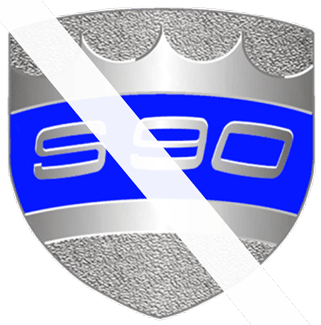 It's not a true 3D badge. SIZE: 2.25 x 2.25 inches (57 x 57 mm): $3.00 ea. SIZE: 3 x 3 inches (76 x 76 mm): $3.80 ea. SIZE: 4 x 4 inches (102 x 102 mm): $5.00 ea. Other sizes are possible. Please email. 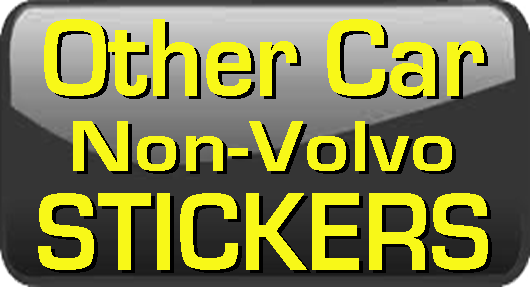 Available also with magnetic backing or as a reverse inside window decal. 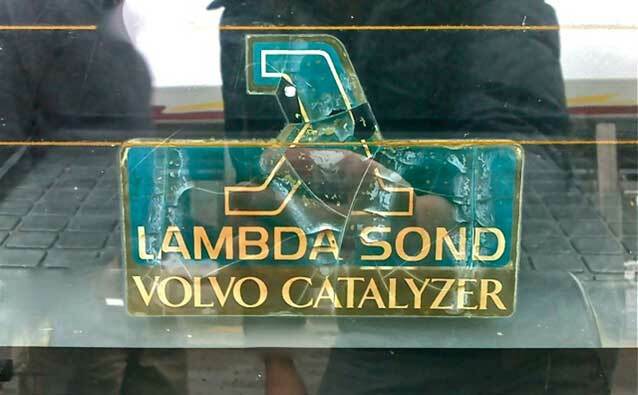 <<< This original Lambda Sond decal appeared on 240/260 models beginning in 1976 (for 1977 models) when Volvo introduced the Oxygen Sensor Feedback Loop to their Bosch K-Jetronic fuel injection system. It was usually applied as a reverse inside window decal in the rear window. 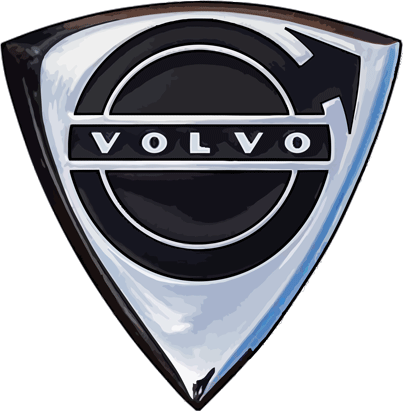 Polestar, founded in 1996, is Volvo's motorsport division for the 850, S40, S60 and the C30 Volvo models. 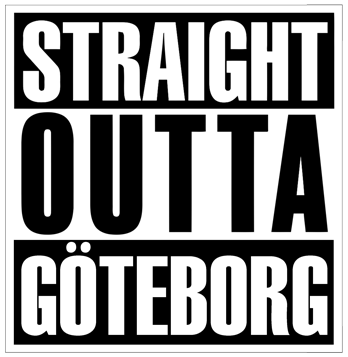 Available as a self-adhesive Vinyl Sticker or as a Reverse Cling Inside Window Decal. Magnetic Backing also available for stickers. Please email if you're looking for sizes not listed. Poletstar Die Cut Decal for Brake Calipers. C30 World stickers are back. 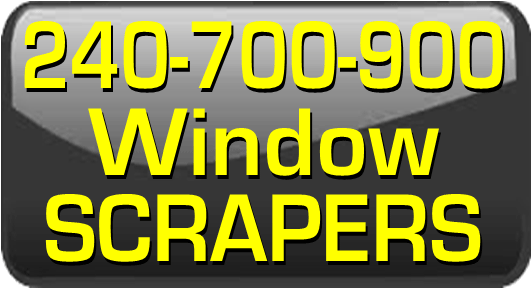 Available as a self-adhesive Vinyl Sticker with high gloss finish or as a Reverse Inside Window Decal. Size 5 x .75 inches (127 x 19 mm): $1.00 ea. Size 8 x 1.2 inches (203 x 30 mm): $3.00 ea. Size 10 x 1.5 inches (250 x 38 mm): $5.00 ea. 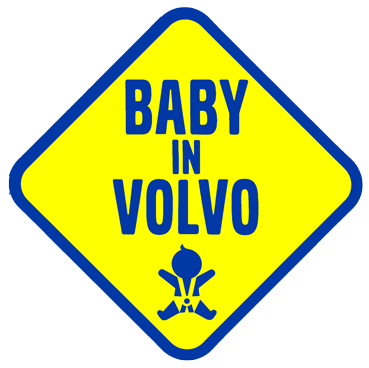 This is a reproduction of the original Baby in Volvo stickers offered by Volvo in past years. 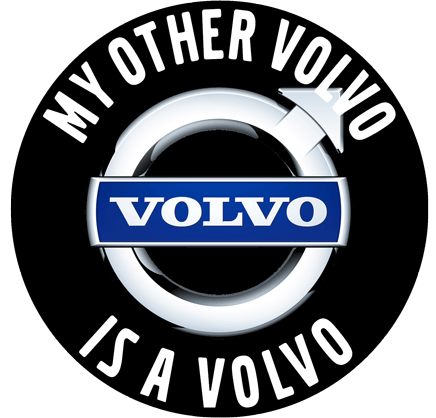 Volvo had a campaign to promote child saftey awareness and proper child seat use. The original size was 5.9 x 5.9 inches (150 x 150 mm) measured as a diagonal square as shown. These reproductions are printed on high quality vinyl with UV resistant high-gloss lamination. Peel and stick self-adhesive sticker. Magnetic backing is available. 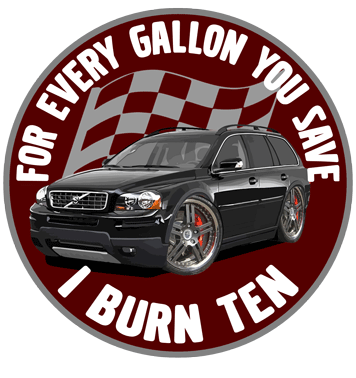 They are also available as inside window reverse decals. These are custom recreations as self-adhesive vinyl stickers patterned after the older High Mileage Club badges offered in the 1970s (I don't know the precise years). These are 2 1/2 inches across (64 mm), same size as original. They are printed on the same high quality vinyl with UV resistant gloss lamination as my other stickers. 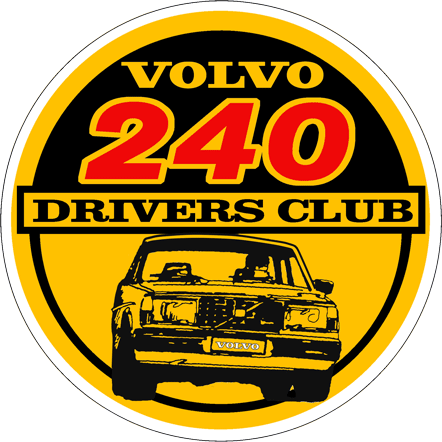 No Longer Available with "VOLVO"
These are custom recreations as self-adhesive vinyl stickers patterned after the older Volvo High Mileage Club badges offered by Volvo in the 1970s (I don't know the precise years). These are 2 1/2 inches across (63 mm), same size as original. They are printed on the same high quality vinyl with UV resistant gloss lamination as my other stickers. If you have a HIGH MILEAGE VOLVO FROM SWEDEN, this sticker might be right for your car. These are available as self-adhesive stickers, or with magnetic backing. Or they are available as reverse inside window decals. Distance to the Moon. 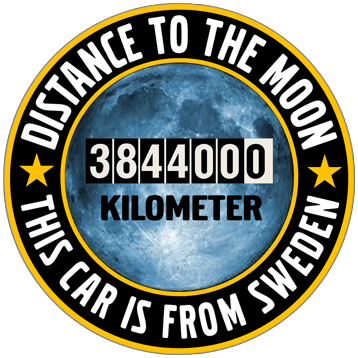 THIS CAR IS FROM SWEDEN Sticker. SIZE: 3 inches: $3.60 ea. Below Items no longer available. Click "View Cart" below to see your cart or Check Out.